Nails are the reflector and indicator of your bones health. If your body does not getting enough nutrients and proper care your nails become weak. Anemia, dehydration, nail biting, deficiency of moisturizers, medication, getting older, some diseases can be the cause of weak and unhealthy nails too. Home remedies are most effective, inexpensive and good than chemical products to strengthen your nails. Mix 10-12 Fresh Garlic Cloves Juice with 1 tablespoon of Aloe Vera Gel. Keep this mixture in a little glass jar with lid and store in refrigerator. Daily before going to bed in night apply this mixture on your nails with a nail brush. Leave it to dry for 5-6 minutes and then sleep. Next morning wash your hands with lukewarm water. Pat your hands dry and apply a little massage of 3-4 drops of Olive Oil or Almond Oil on your nails. Within 4-5 days your nails become beautiful, shinny, long and strong. The best remedy to strengthen nails. Soak your nails for 10-15 minutes thrice a week in the mixture of 2 tablespoons of Olive Oil, 2 tablespoons of Lemon Juice and 2 tablespoon of Argan Oil. Use this remedy in night before going to sleep rinse with cold water next morning. Apply a moisturizer after dry your hands. Mix 2 tablespoons Olive Oil, 2 tablespoons Coconut Oil, 2 tablespoons Vinegar and 1 Egg white. Dip your nails in this mixture for 15-20 minutes and wash with cold water. Store this mixture in refrigerator and use it daily. After 4-5 days must find strong and healthy nails. Boil Lemon Grass in 1 glass of water, when it becomes into ½ glass turn off the stove. Place it cool and then dip your fingertips in it for 15-20 minutes than wash with normal water. Make a mixture of Olive Oil, Sea Salt and Lemon Juice in a glass jar daily apply with nail brush every night for one week for best results. Take 2 egg yolks and mix 1 tablespoon of Almond Oil dip your finger tips in it or apply on your hands and feet nails for 10-15 minutes. 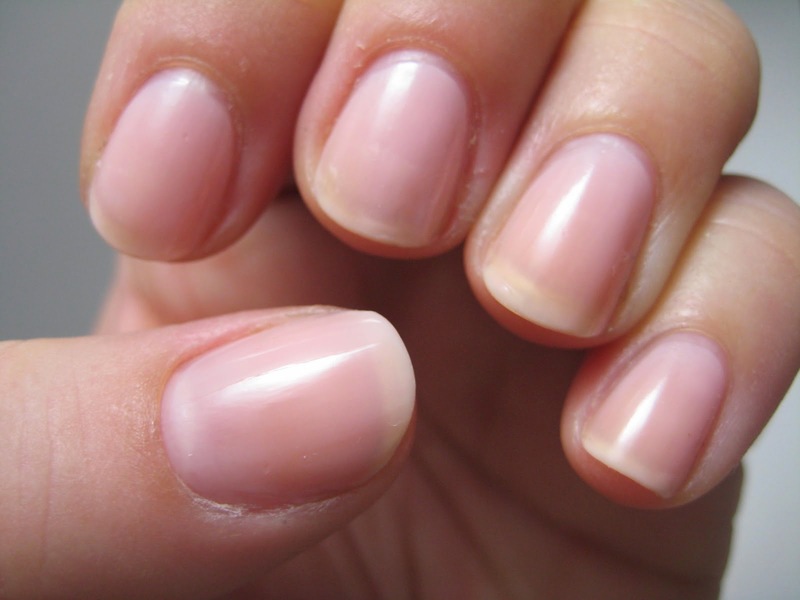 Biotin in this mixture will strengthen your nails. Use it twice a week. Drink Cabbage, cucumber, carrots juice daily for 1 month for stronger nails inner health. Biotin in these vegetables improve the quality of your nails. Biotin (vitamin B complex) is best for skin, nails and hair. Mix Tea tree Oil and Apple cider vinegar in equal quantity. Dip your nails daily in this mixture for one week. Boil 25-30 Neem Leaves in 1 glass of water for 5 minutes. Place it to cool and than mix Almond Oil 2 tablespoons in it. Dip your finger tips for 15-20 minutes. It will remove bacterias and fungle infection from your nails and make them healthy. Daily use of Fish Oil (Omega-3,6,9) with your diet make nails stronger and healthier. 1)You can use branded nail polish to strengthen your nails. But continues use of longer time will change the original or natural color of your nails and shinning. 2)Avoid biting your nails and pushing stapler pins or stickers with your nails. 3)Do not use a nail remover chemical more than once a week. 4)Always use cotton gloves to protect your hands and nails from chemicals. Especially when you are dying your hair. 5)Use cotton soaks and air your shoes daily. Use rubber gloves over cotton gloves when you are washing dishes in kitchen. 6)Daily apply a moisturizer massage to improve blood circulation to your hands and feet nails. 7)File and trim your nails correctly and safely. Drink a lot of water daily. 8)Try to have manicure and pedicure once a month for health looking nails.